Beverly was born on December 31, 1950 in Greenwood, MS. She relocated with her family to Cleveland, MS 1n 1964 where she attended Cleveland High School and was Ms. Cleveland High School, 1968. After graduating from high school, she attended Delta State University where she majored in Elementary Education. Upon completion of her undergraduate degree, Beverly moved to the Mississippi Gulf Coast, where she began her forty-three year career as an educator. Beverly returned to the University of Southern Mississippi in 1976 to complete a Master’s Degree in Gifted Education. During her career, Beverly specialized in teaching gifted and talented students. She was recognized for her excellence in teaching, receiving multiple awards including STAR Teacher in Moss Point, MS in 1986 and Teacher of the Year multiple times in Mobile, AL. 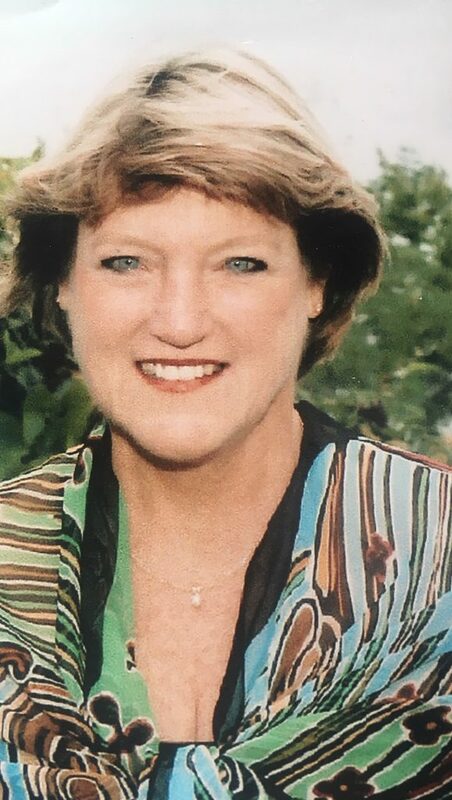 Serving as an officer and President of Mississippi Association of Talented and Gifted, Beverly was a pioneer and leader in Gifted Education, helping to implement the first programs for intellectually gifted children in Mississippi. She taught as an adjunct professor in education at USM gulf coast. She was a member and officer in numerous professional organizations. She conducted professional developments seminars across the country and co-authored multiple professional publications. She was a master teacher who was admired by students, parents, and peers for her unwavering positive energy and genuine concern for all. Beverly loved the natural world, which she learned from her mother and father. Her outdoor hobbies included fishing, kayaking, boating, and gardening. She enjoyed trips to the Mississippi barrier islands, especially when she could share the experience with her nieces and nephews and other young people. Her love of life and endearing spirit will be missed by all those who knew and loved her. My deepest sympathy for the loss of a great person. I consider myself truly blessed that Beverly was a part of my life. I’m beyond heartbroken hearing of her passing. My sincere condolences to her family and loved ones. Beverly Alexander was by far the most genuine, honest, caring human being that I have ever known. She mentored and inspired my children to become the wonderful, successful adults they are today. She also gave me guidance and encouragement as a parent when I needed it most without even knowing. Her smile and positivity was contagious! I hope her family and loved ones can rest well knowing that all of the children and parents that had the pleasure of knowing Miss A will always carry a part of her with them forever. I can only hope to impact and inspire at least one person in my lifetime the way she did me and my three children. Thank you Ms. A! You are truly one of a kind! No one can leave a better legacy than the one you described. I knew Bev as a sorority sister. I never knew all she accomplished in her life and how much she was adored. Farewell, Bev. ❤️ Well done! No one could make a person laugh more than the funniest human being on the planet: Beverly Alexander! Bev was also incredibly talented, creative, gregarious, loving and kind. I am so grateful to have shared her friendship for these many decades! Bev deeply enriched my life– and the lives of all those she met– energizing us all by her ever-ready warmth, her dynamic joie de vivre, and her unequaled sense of humor. She encouraged us each by her own example to unlock and celebrate the best in others and in ourselves. I pray for Bev, her siblings, and for those closest to her, reminding you that the best is yet to come, on that day when we will all meet again. Meanwhile, I know that Bev has the saints, the angels, all the citizens of heaven, and even the King himself, rolling in laughter… What a remarkable personality! What a unique treasure!! If each of us who knew her would take just a tiny slice of the gifts she gave us and incorporate that into our own lives, the world would be a more loving place, and the earth would laugh alongside the stars…. I was so saddened by this news. I went to Delta State with Beverly and had lots of fun times together. Prayers for her family. I know they are heart broken. My prayers and deepest sympathy for the family. Love you. My thoughts and prayers are with Bevs family. My heart is broken with her passing. She was the most remarkable women I ever met. Always, always made me laugh. Bev, you are missed. God hold you now. Heaven has gained an Angel for sure! Absolutely taken too early for us earthly soles! Bev could make anyone feel at home and had you laughing before you knew what had hit you! She was truly a one of a kind FABULOUS person! Rest In Peace my friend…….you will be missed for sure. The loss of Beverly Alexander leaves a great void in the lives of those she befriended, worked beside, taught, socialized with, interacted with during her far too short time among us! As an Elementary School Principal who was fortunate to have Bev on his staff, she was a bright star among her peers! She was creative, inspiring, caring, enthusiastic and an effective teacher to all of the students who came through her classes! Beverly started out teaching students of all ability levels and left her mark on those children! She treated the less capable student in her classroom the same way she did the brightest students! There is a big void in the world because of her passing! All who knew her are very sad tonight! Beverly was a ball of energy! She ran wide open all of the time. Her energy and love for students will be her legacy. Love you Bev, fly high. You will surely be missed. Ms A was my friend and my hero! She was an inspiration to all and an educator through and through! She loved life. She Loved her co-workers, her students and her family. I had the honor to work with her at Dunbar Magnet and everyday she made me laugh and find the joy in my work. That smile helped brighten many a day for myself and others. My heart is broken for she left us much too soon. My deepest sympathies. Ben and Brenda, I just read about the death of your sister. I am sorry for your loss. It is always sad to lose a sibling. Hope you remember me from first Baptist Church, Cleveland. It has been a long time since we saw each other. We will be praying for your family. With our love. Beverly was such a wonderful full of life friend! Her family , friends and former students will miss her so much. Rest In Peace Bev!!! So very sorry to hear this. We taught together in Ocean Springs. My deepest sympathy. Prayers for Beverly and her family, she always brought a smile to my face. Beverly was truly a delight. As young educators we enjoyed our summer days spent by the pool at the complex where we lived. So much laughter and fun. Rest In Peace my friend. You will be missed. Prayers to Beverly’s Family. R.I.P. Beverly. Me. A, as she was known at Dunbar M. S., was one of the most amazing, talented people I’ve ever met. She truly loved her students and knew what it meant to give your all. I’ll never forget the time she took with me, a young, inexperienced teacher, and the wisdom and courage she instilled in me. From her striking blue eyes to her never-failing ability to evoke a belly-laugh, she will never be forgotten as one of the most captivating people I’ve ever known. Love you. Beverly was one of my favorite people! She worked by my side my first few years teaching encouraging me and guiding me to become a better teacher and person. She always knew what to say to brighten everyone’s day. She had a passion for helping everyone she met, from her students, to her fellow teachers, and to her administrators and other staff. She was a joy to be around. I loved hearing her stories about her family from the “Mississippi Delta” as she called it. She always made me laugh. The world was a better place because of her, and she will be truly missed. My deepest, heartfelt condolences to her family. What a tremendous loss! Ms. Alexander was one terrific teacher! Her students adored her! My prayers are with her family and all her many friends…. I graduated with Beverly in 1968 from Cleveland High School.I had not seen her since graduation but from reading her obituary she lived a full life. Rest In Peace Beverly. Heaven has gained another angel. Beverly was an open book, an open door and an open heart. She made us all feel loved and welcome just as we are and kept us entertained once we arrived. I will miss her terribly. Beverly was an amazing person. She loved life and teaching the many, many students whose life she touched. My heart is so heavy, but I know Heaven received another angel. To the family of Ms.A , my boys and I would like to send our condolences and prayers. Know that she was loved very much by our family. She was always there to guide my boys and I will always be grateful for the ways she cared for them. I always thought of her as an angel and now she is. I have not seen Beverly for many decades, but this news breaks my heart. We were friends from David Elementary and Greenwood Jr. High. She was always kind and so much fun. Beverly was raised in a wonderful family and all of the gracious comments about her reflect the solid family values and loving spirits that surrounded and nurtured her. She obviously lived a generous life and touched many. What a good and faithful servant. Prayers for all who loved her. She will always be a part our lives. I really am sorry for y’all lost. I know she will be missed . Ben and Brenda, my hearts goes out to you all ! What an Amazing and Beautiful Soul, our Ms. A! Beverly was always so full of good energy and optimism, no matter what! Her gift in teaching us really cool and fun ideas was never ending. I treasure the Dunbar memories and am thankful that Beverly was there! Heartfelt Prayers! To the Merriweather Family, I am so sorry for your loss. Beverly was a childhood friend who I enjoyed playing with. She also was a friend at church. I remember being so sad when the family moved to Cleveland. It is wonderful reading about all of Beverly’s accomplishments. She seems to have touched many young lives. I pray that God will comfort each family member and assure each of you of His love for you. May peace be yours. Beverly & Ann taught me Jr. & Sr. Lifesaving at the CRA pool. I was crazy about them as I was about all the Meriweather Family. This family was a shining example of a perfect family in Cleveland. Obviously by all the kind comments above Beverly touched many lives over the years! RIP Beverly🙏🙏. Our thoughts & prayers are with all of the family! I was lucky enough to teach with Beverly at Moss Point HS and was thrilled that my daughter was part of her PACE class. My daughter thrived under her and went on to become a teacher herself. I worked across the street from her and was able to spend time with her often. What a wonderful role model for young people! Beverly left her mark on all of us and she will be sorely missed. It was my privilege to get to know Beverly from our days at Delta State where she was my sorority Big Sister and a special, full-of-life friend. My thoughts go out to her dear family and loved ones. May you Rest in Peace, Bev. I have such fond memories of Beverly from our junior high days in Greenwood and once we reconnected through our Gifted Education connections later on in our careers. She was not only a master teacher, but a master human being. She is going to be greatly missed. A great teacher and very personable person She was always very nice to us bus drivers at Dunbar Magnet fo r the years I knew her there. Prayers for her family. I don’t even think I have enough words to express the real impact Ms Alexander had on my life. As a student in Moss Point’s gifted program as a youth, she challenged so many of us to dream more, to be more. For more than 35 years, I have carried around a now-weathered copy of ‘Jonathan Livingston Seagull’ because she ingrained in all of her students that we really did have the capability to soar. My life is so much richer having known her and I’m so thankful to her family for sharing her with all of us. She made a difference and that is truly a life well-lived! This came as such a shock. I hadn’t been keeping up with Beverly, but I loved her when I knew her. The obituary is so true. She was such fun to be around — positive, energetic, bright and loving. I hate she left Moss Point. Love to Jane. Bev was my first classmate and friend I met in 1964 when I, too, moved to Cleveland, MS. Her outgoing personality, welcoming spirit, and enthusiasm for life never wavered from that moment on. She touched so many and will be missed and remembered for her glowing love for all. Blessings of Peace be with us who Beverly has left behind. Ms. Alexander was my teacher in the gifted class in the early 1990’s. She was the only teacher I really liked, much less loved. I actually tried to contact her again just a few weeks ago; it had been since 1994 or ’95 since I had spoken to her. I believe the call was rejected. (I do not remember right now whether it offered the chance to leave a voicemail, but if it did, I decided to try the call again later.) If there were one person I would like to have talked to again in this life, it was her. I tried to call because I was just starting to realize how much I loved her. She was the only teacher who really gave me what I needed–mainly, the realization that we all have to do independent research on the topics we are interested in, collect resources, and prepare a presentation that would interest people, in order to create a change. I remember her getting us to sing a song called “I Have a Dream” before the elementary schools. I also wanted to tell her I was sorry, because she seemed to think that I was a troublemaker at times. Sometimes I was following one friend of mine–nearly the only friend I had in school; sometimes I thought I was being creative, since she made me feel more creative, or, you might say, see more possibilities than anyone else I never knew. I was extremely sad as a young man, and, as I’ve heard David Lynch say, “Someone who’s really depressed can’t create at all.” In her class I was not depressed. I never meant any disrespect. I just found out tonight that she has passed on because I was looking for her phone number again. I wish I could hear briefly from someone else among her friends and family, whom I am sure are devatated. Thank you.